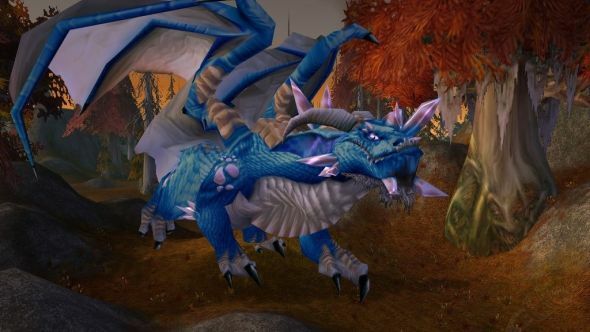 Blizzard are celebrating the 13th anniversary of World of Warcraft. Between now and 10:00 CET on November 30, you can log in to earn achievements and rewards associated with 13 years of WoW, and even battle a collection of classic bosses. Here’s everything we know about WoW’s next expansion, Battle for Azeroth. According to Blizzard’s announcement, this year’s Anniversary Gift Package includes 200 Timewarped Badges, which can be used to buy a collection of new items, including some extremely flashy Bronze-Tinted Sunglasses. You can also get your hands on some old rewards, including the Corgi Pup and the Edwin VanCleef costume set. Finally, there’s a one-hour experience and reputation boost that increases your gains by 13%. You can earn extra Timewarped Badges, should you need them, for completing a series of quests – ‘A Time to Reflect’ rewards you for your Warcraft trivia, while ‘The Originals’ are a series of daily quests which pit you against classic bosses. The Originals quests can be picked up from Historian Llore in Stormwind Library, or Historian Ju’pa in Orgrimmar. If you’re level 60 or higher, you’ll be able to go back up against Lord Kazzak, Azuregos, and each of the four Green Dragons. Defeating any one of them grants 50 Timewarped Bades, and all of them have a chance to drop some rare loot.